Hey internet people! I’m surprised I’m not more behind with my posts – it feels like a month since I’ve blogged. I’ve been busy, of course! Paintball season is gearing up, so I’ve got lots of orders to keep my busy. But, again, that’s work. I’m posting play here. The fun, artsy stuff! I’m still on my mail art kick; who knows, maybe It’ll end up being 365 days of mail art! I do one or two things here and there that aren’t drawing, but I am still feeling that drawing pull big time. 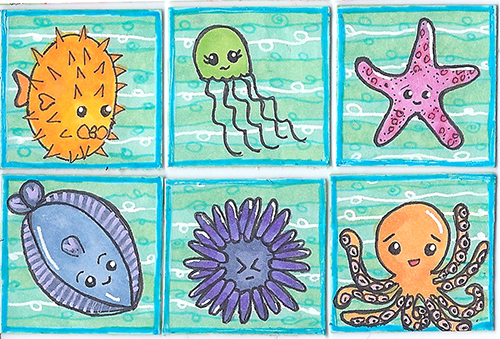 So, with no further adieu, here’s what I’ve been working on for lots of swaps and trades over at ATCsforAll! I think I’ll hit ya with a bunch of inchies first! 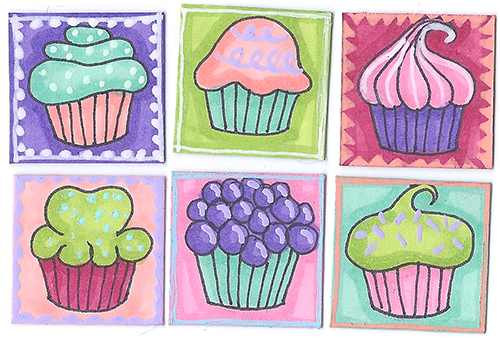 I love making inchies (1″X1″ art). 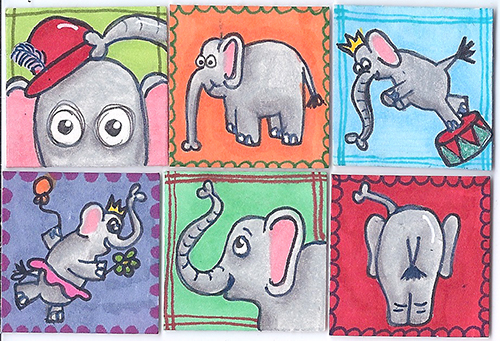 First, elephants! Done with marker, gel pen, and colored pencil. 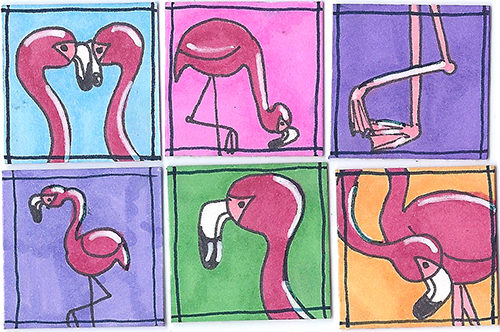 I had fun making these flamingoes. Marker and gel pen. 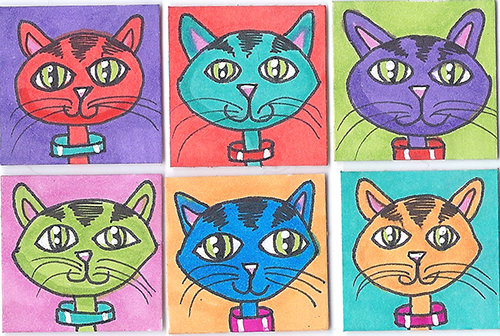 Colorful kitties. Marker and gel pen. Pink poodles, as a request. 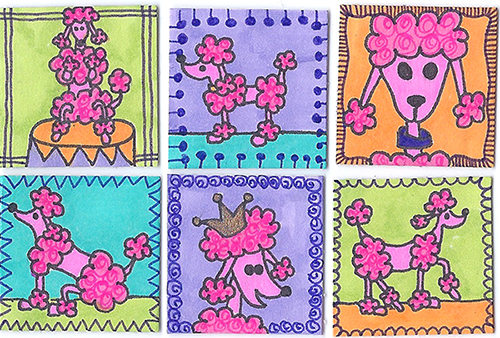 I collect pink poodle ATCs, so it was a treat to draw pink poodles for someone else! Marker and gel pen. 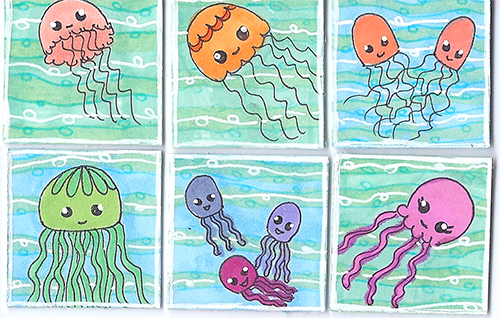 Underwater cuties. marker, colored pencil, and gel pen. Another favorite subject of mine, Day of the Dead. 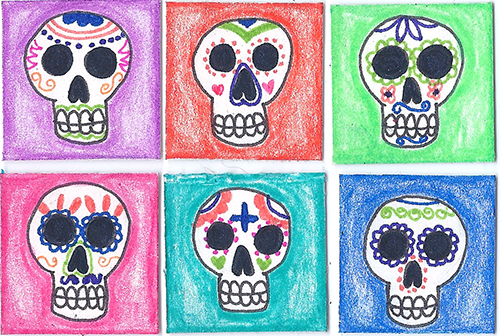 Sugar skulls in marker & coloured pencil. 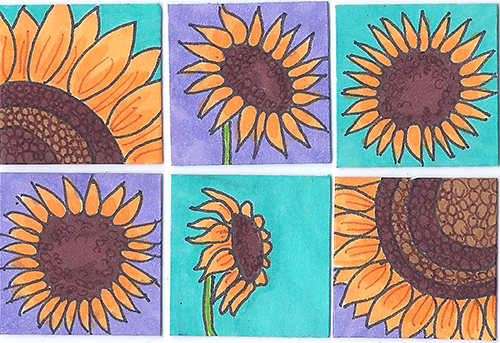 Sunflowers, trying to get into a summery mood. Marker. Tea cakes! Om nom nom. Marker, colored pencil, gel pen. 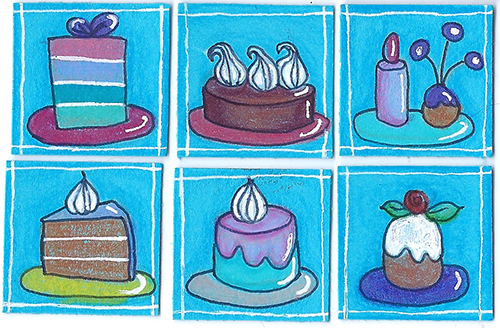 I love to draw cupcakes. I never get bored of them. Marker and gel pen.